Little-known facts about the great American novel and the man who wrote it. The Great Gatsby... the standing definition of the great American novel, which you were probably forced to read in high school. Here are things you probably didn't know about this classic work of literature, and the man who wrote it. 1. The novel was written in France. 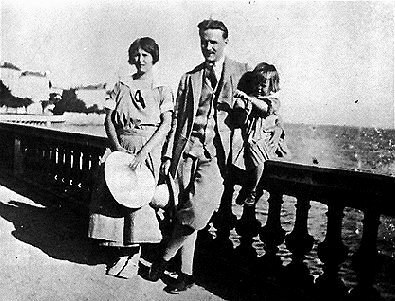 F. Scott Fitzgerald with his wife, Zelda, and their daughter, Scottie, in France, 1924. "They had spent a year in France for no particular reason, and then drifted here and there unrestfully wherever people played polo and were rich together." 2. East Egg and West Egg are apparently based off of towns in Connecticut. Fitzgerald and Zelda outside their home in Connecticut, 1920. 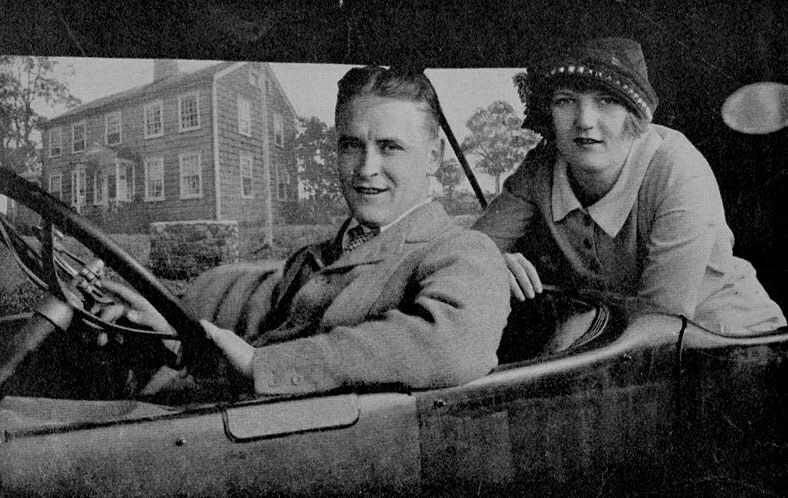 After their marriage, Fitzgerald and his wife lived in the town of Westport, Connecticut for only six months. A theory stands that Fitzgerald named the fictional locations East Egg and West Egg on Long Island after the nearby Connecticut towns of Weston and Easton. In the town of Westport however, where the Fitzgeralds lived for six months, there is a intersection at Weston Road and Easton Road. The road sign at this intersection could also be the inspiration for East and West Egg. 3. The book didn't become wildly popular until after Fitzgerald's death. Fitzgerald's most famous work did not receive the worldwide recognition it deserved until after his death in 1940. While he was alive, the book was largely considered a failure. 4. The Great Gatsby was not the book that earned Fitzgerald fame and fortune. Fitzgerald's first novel, This Side of Paradise, was published in 1920, and was a huge commercial success, earning him fame, fortune, and access to the wealthy lifestyle depicted in The Great Gatsby. 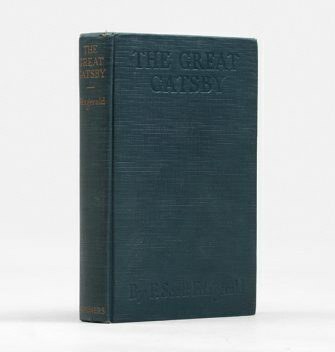 In fact, The Great Gatsby earned him less than $9,000 in his life. 5. 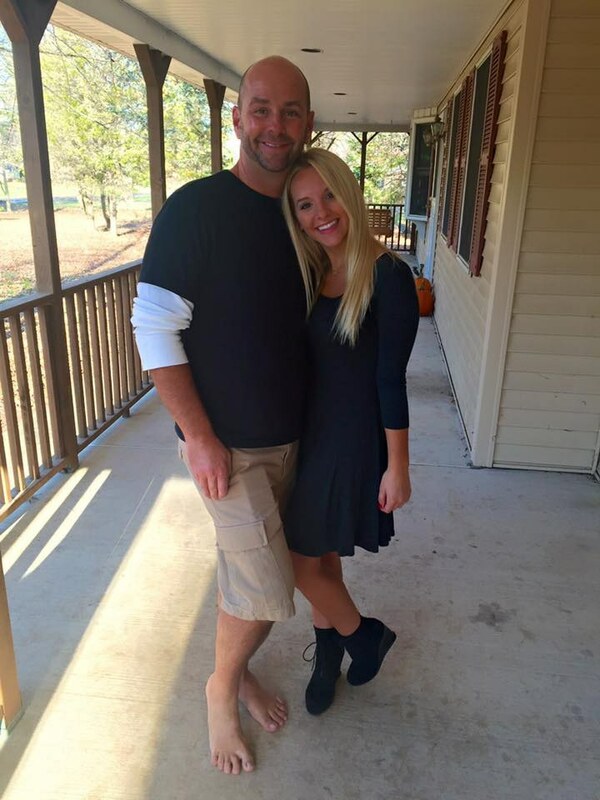 His money is what won him his wife. Fitzgerald and Zelda on their wedding day, 1920. Fitzgerald enthusiastically competed for the attention of Zelda Sayre, a wealthy, popular "flapper girl." Fitzgerald proposed in 1919, but she denied him, claiming he did not have enough money to support her. It wasn't until the spring of 1920, when This Side of Paradise was published, and Fitzgerald became rich practically overnight, that he finally won her heart. They married exactly one week after the book was published, at Saint Patrick's Cathedral in New York City. Fitzgerald was 23 years old; Zelda was only 19. 6. The love affair between Gatsby and Daisy is somewhat based on Fitzgerald's marriage. 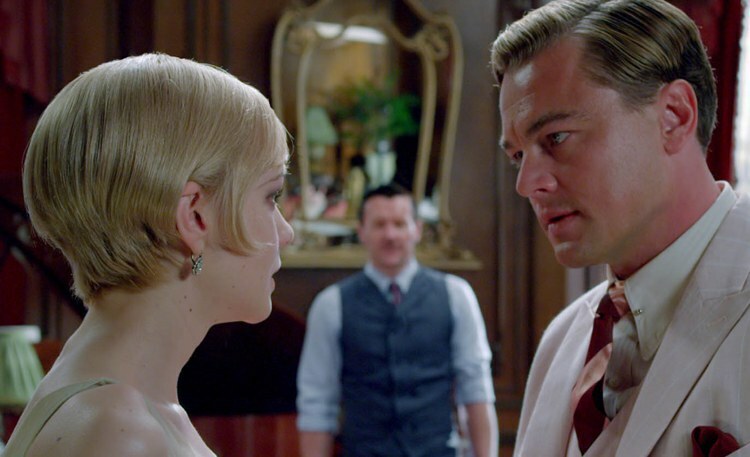 Jay Gatsby (Leonardo DiCaprio) and Daisy Buchanan (Carey Mulligan) in the 2013 film. Fitzgerald's marriage was troubled by multiple affairs, and Zelda's mental illnesses. Raging jealousy was the result. Zelda apparently accused her husband of cheating on her with his dear friend, Ernest Hemingway. 7. 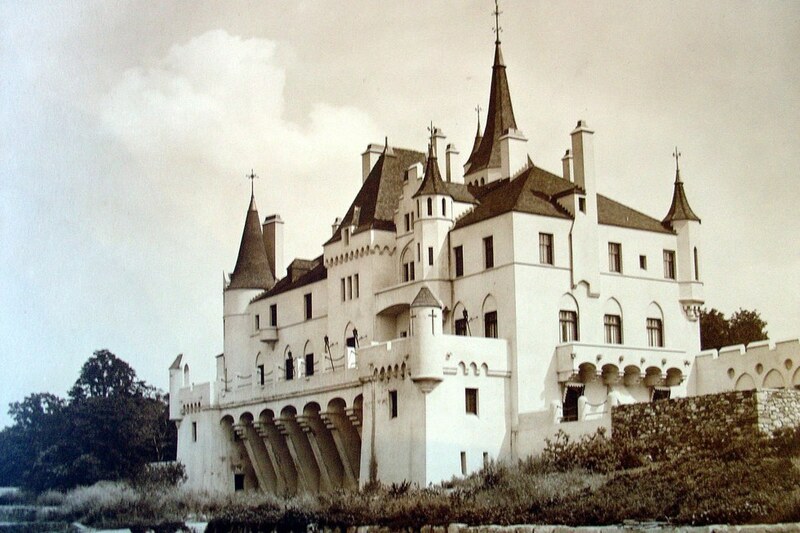 While Gatsby's mansion was fictional, the inspiration for it came from the Beacon Towers mansion on Long Island. Beacon Towers in Sands Point, Long Island, in 1927. This waterfront mansion was built on Sands Point in 1917, and was sold to William Randolph Hearst. Baz Luhrmann, who directed the 2013 film The Great Gatsby, visited Sands Point and looked at the luxurious homes in the area as research for Gatsby's mansion. 8. Fitzgerald was related to American royalty. 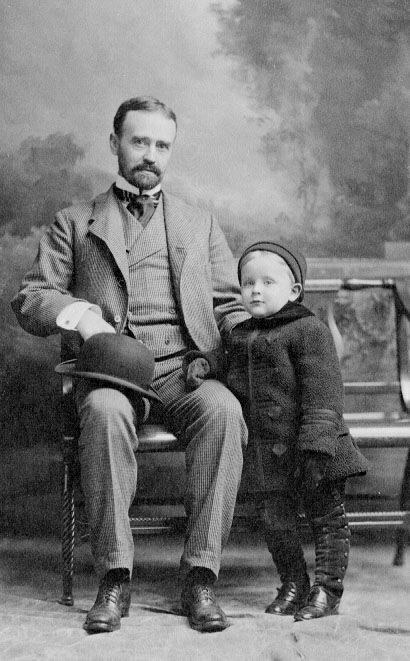 Fitzgerald as a young boy, with his father, Edward, circa 1900. The F. in F. Scott Fitzgerald's name stands for Francis. His full name given at birth was Francis Scott Key Fitzgerald, named after his cousin, Francis Scott Key, who wrote the "Star Spangled Banner." 9. Both Fitzgerald and Zelda died young. 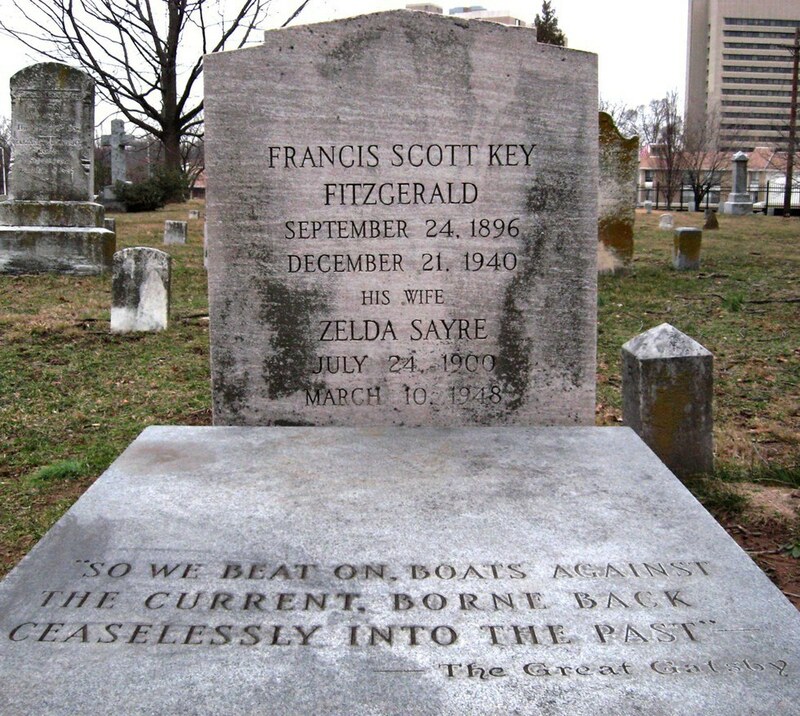 Fitzgerald and his Zelda are buried together in Maryland. The infamous final sentence of the novel is engraved where they are buried. Zelda suffered from mental illness, including schizophrenia and manic depression. She had multiple mental breakdowns and was in and out of mental hospitals, which put quite the strain on their marriage. 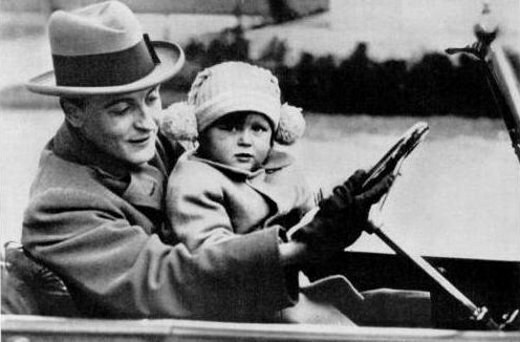 Scott Fitzgerald died of a heart attack in 1940 at the age of 44. Zelda died eight years later at 47 years old. She was treated with electroshock therapy at a mental institution in North Carolina, and was strapped down to a table, awaiting the electroshock treatment, one day when a fire broke out in the hospital. She, among many other women, died in the fire. 10. The book's dedication page has become iconic. 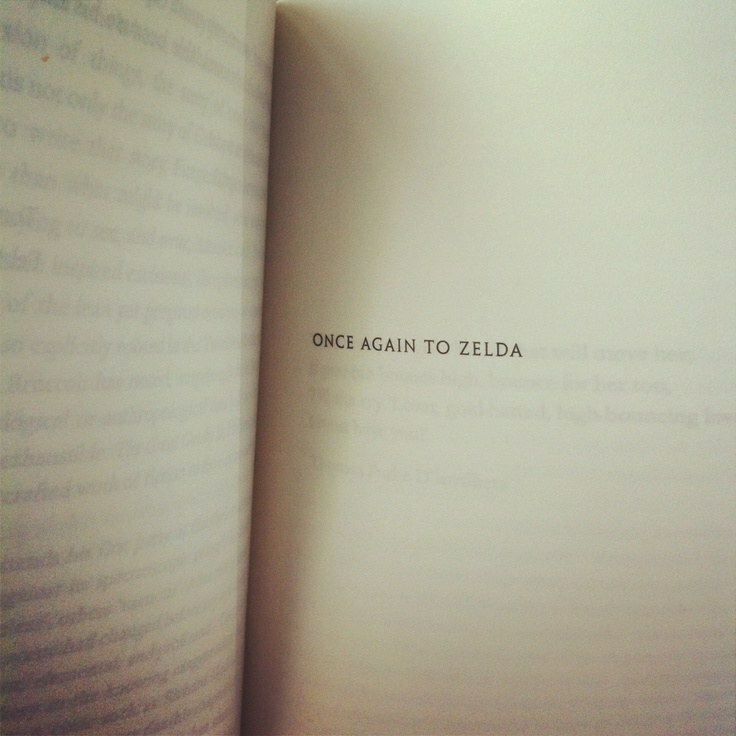 The Great Gatsby's dedication page reads, "Once again, to Zelda." This phrase inspired a 2008 book titled, Once Again to Zelda: The Stories Behind Literature's Most Intriguing Dedications by Marlene Wagman-Geller.